By the time of Introductions, the hall was almost full with around 100 attendees ready to share a word about them with everyone. Rajat and Gourav passed the mic around the hall till everyone finished their introductions. A great way to begin the meetup was allow folks to join a debate on which IDE was better or is it the simplicity of a text editor with few plugins which make all the difference. 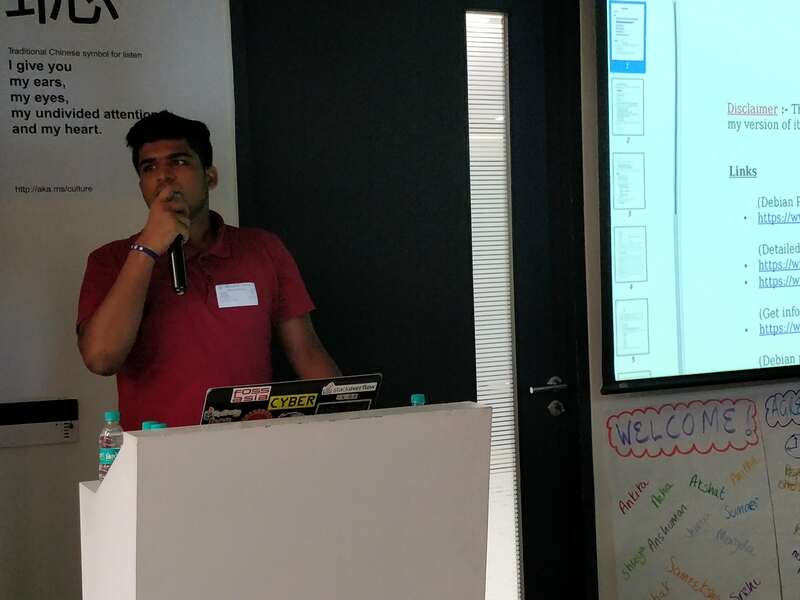 Akshay invited the panel to the stage and also folks from the audience who ever wanted to share their experience or brag about their favorite tool of trade. It almost felt like a Messi vs Ronaldo situation where folks with 5, 10+ years experience embrasing their professional IDE like PyCharm. On the other hand, those of new age like to experiment with light and memory friendly tools like Sublime. The conclusion of such a conversation cannot be obtained which can be accepted by everyone as likability of a tool is a relative. What ever rows your boat, right! Thanks to Microsoft we had lunch and a cool place to network while during the break before the talk sessions took place. It's always great to catchup with peers and meet new folks. 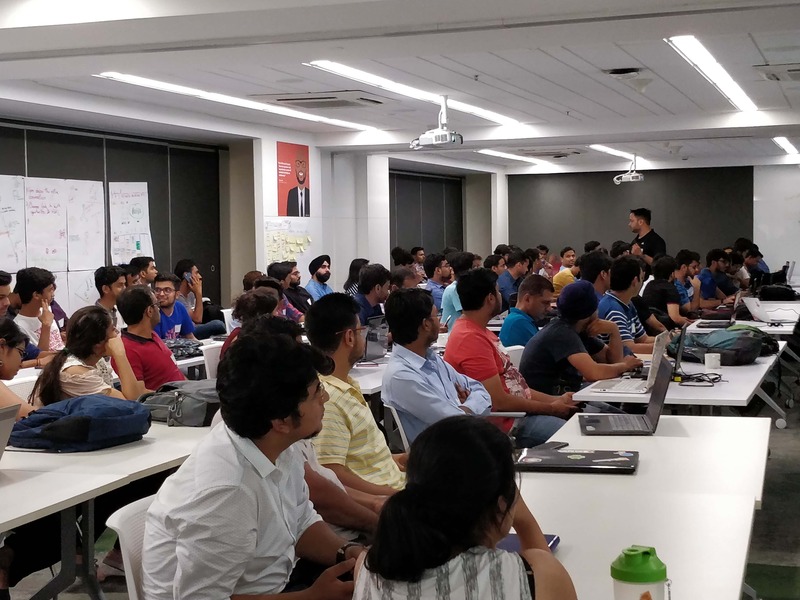 Sanyam Khurana proposed this talk for PyCon India 2018 and as a process of getting valuable feedback decided to deliver the same during PyDelhi. The talk is a culmation of his experiences while trying to make Django aware of different languages and adaptive to user's language preference. This idea helps localization of web applications to support various languages with help of Django. He began with explaining the prerequisites and important configuration changes in Django. Then he explained what are the different ways in which a second language can be supported like dynamic/static content. Moving on, he explained how he managed to modify templates and models and finally save the translations in static file and deliver when needed after compilation. Interesting parts of his talk was when he shared 'Gochas' which were tricky situations while in development he solved. Vipul Gupta also proposed talk for PyCon India 2018 and was ready with his talk to share his experience with Dotfiles. He bagan by explaining what exactly Dotfiles are and why do a developer needs to be concerned about it especially in a *nix machine. Then came the part where he made everyone realised that there Dotfiles have been sitting in the machine all along and managed by the os but since they are human readable, becomes an advantage in development process. He explained symlinking the Dotfiles to a central directory which can be made a git repository for version control. This way even when the machine crashed or there's an os update, developer will never loose their favorite configuration. 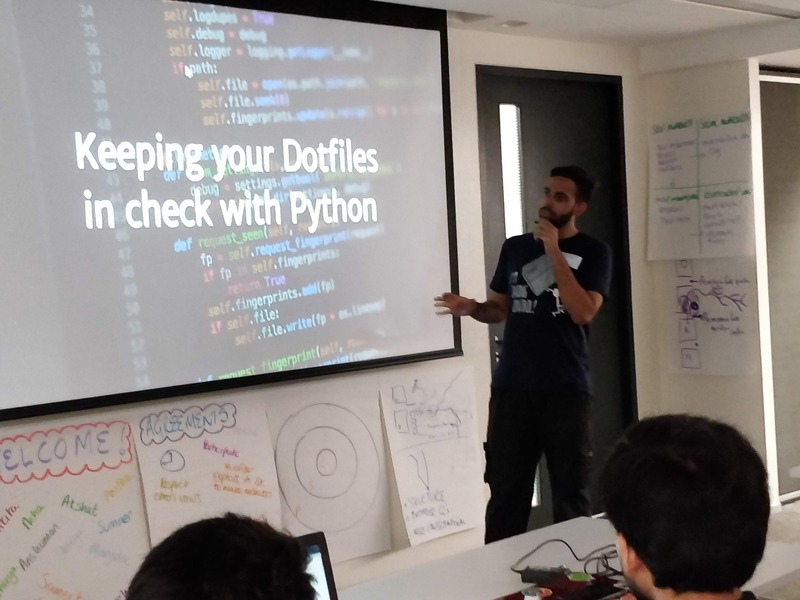 He then elaborated with how Python came in play in order to manage these Dotfiles with the help of Homely. 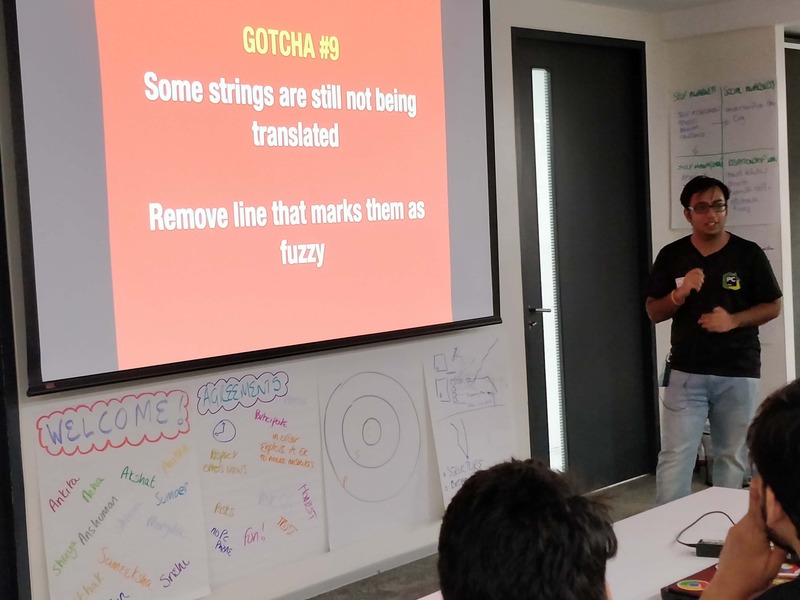 Manas Kashyap gave a lightning talk about 'Python Packaging- The messy wormhole'. He has been packaging node modules for Debian lately and explained the process Debian uses in a brief time. 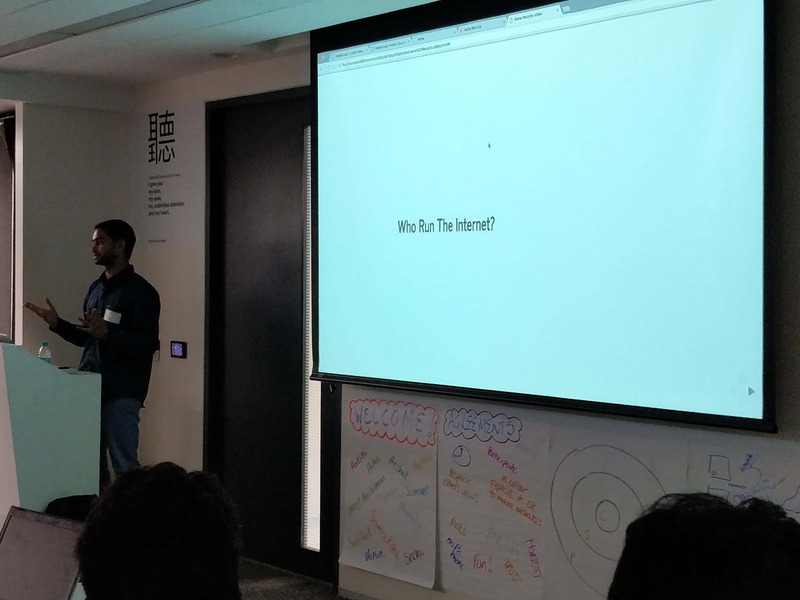 Gaurav Sehrawat gave a talk explaining different DNS records a person can use while managing hosting account. He used his clean and self explanatory slides for the same. This is a part where we invite different open source communities around Delhi to pitch their work and invite volunteer and collaboraters. 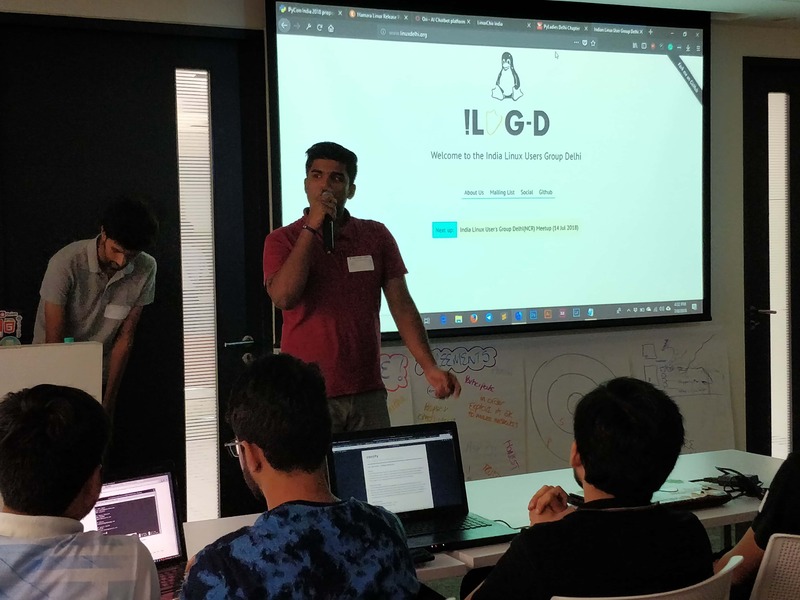 For this meetup we had LinuxChix India, PyLadies Delhi and Indian Linux User Groups Delhi 's volunteer who explained what they are working on and how to attend their next meetup. 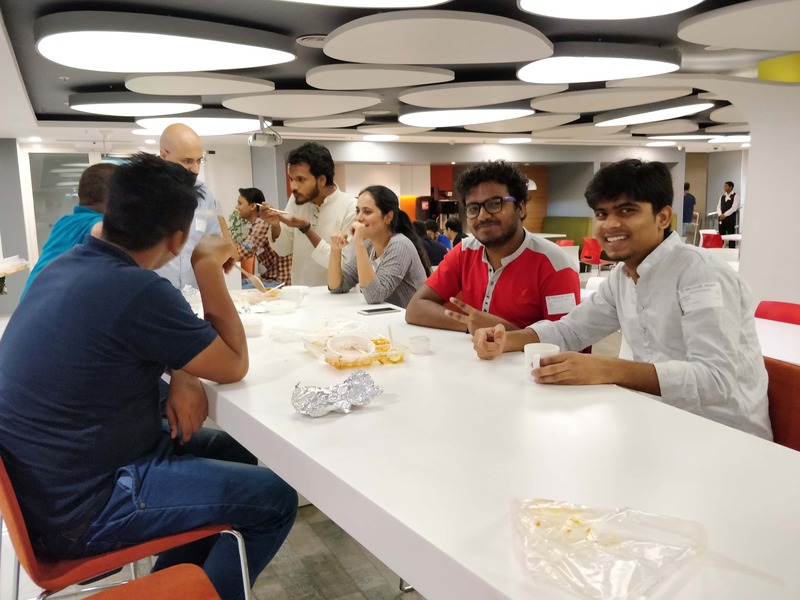 By the end of the event it was time to pitch PyCon India 2018 which is scheduled for early October and invite folks who are willing to volunteer for the same. 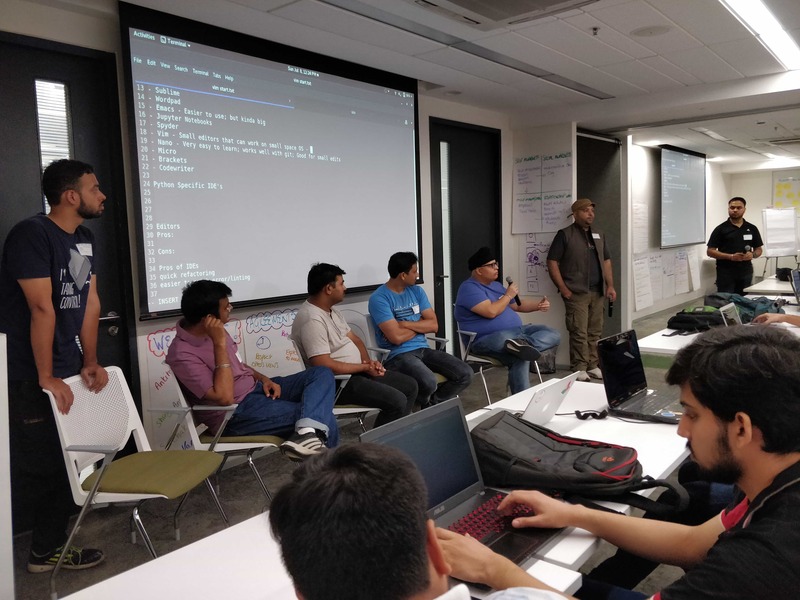 Also, PyDelhi which is responsible for the meetup in progress shared more about the community and how a person can volunteer to make these events happen.